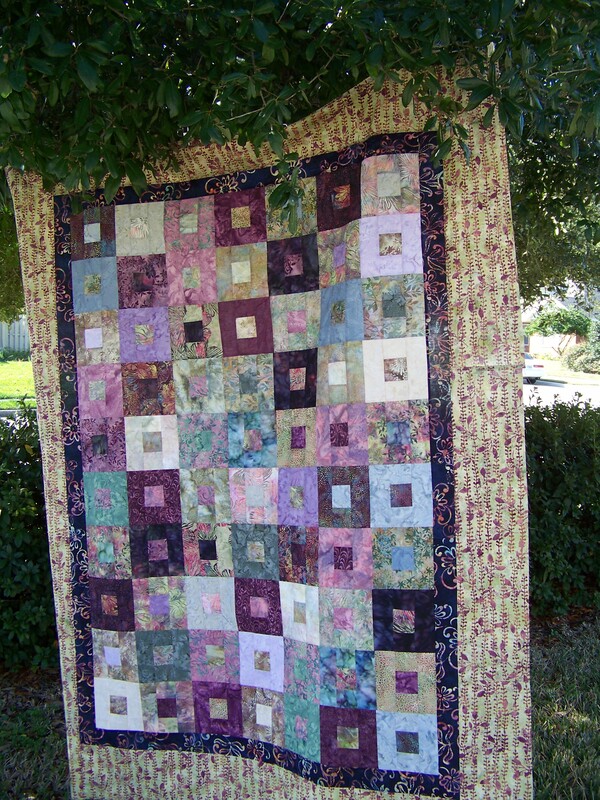 This is the quilt I made for my sister, Chrissy. She loves batiks. This is the Christmas quilt I made for my friend Ann. She moved away from her long time home in California to be closer to family in Texas. I wanted her to have something soft and fresh for her new home. I just think it is so sweet, so tender. It makes me think of quiet snuggles and nap times. 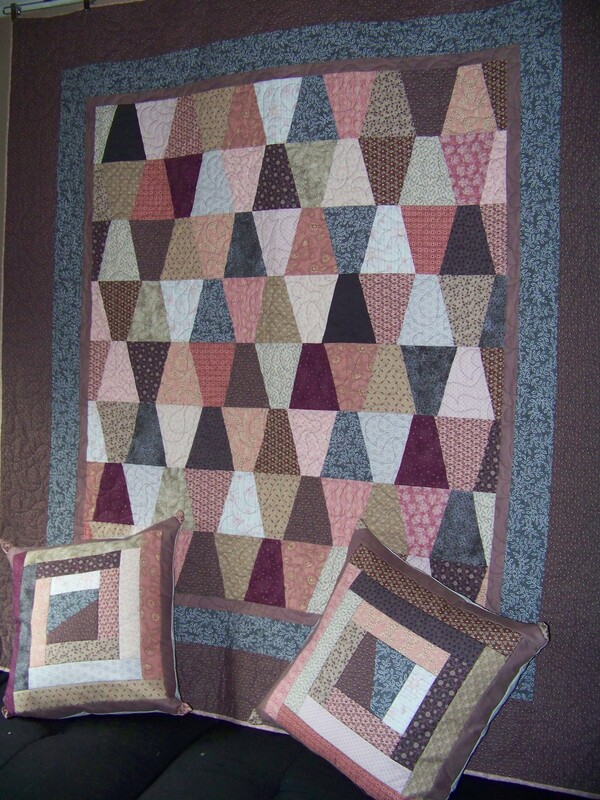 This is the quilt I made for my mother. 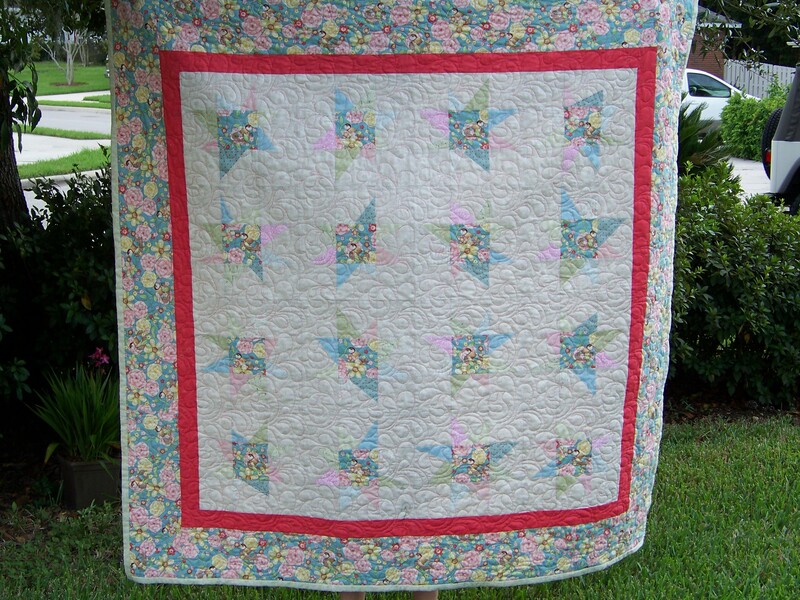 The center of each block has a bird in its nest and the border is filled with flowers that make me think of camellias. There is a set of 24 inch square pillow shams, too.